Although Miami and Boston are some distance apart, the New England Patriots are suffering a bit with noisy neighbors this off-season. Just as Stephen Ross arrived to take him to the gallows, Jeff Ireland made one final grasp to try and pry away the lock that had kept his franchise from success during his tenure. While his attempts were made out of desperation, and they will likely hurt the franchise in the long-term, they have undoubtedly improved the Dolphins at this point in the off-season. The only question remaining is just how much they have improved. Can they repeat the surprise success of 2008, when Tony Sparano turned a 1-15 team into an 11-5 division champion? Or will they just overcome the obstacle of enjoying a winning season, something they haven't managed since that same year? In the record books, the 2012 Dolphins' season will go down as a failure. Their 7-9 record was their fourth season in a row below .500. Yet, considering their frailties at this time last year, a 7-9 record should be considered a success. Tannehill arrived in Miami amidst a cloud of doubters. Some draft analysts couldn't believe that he was taken with the eighth overall selection, because of a second round grade, while others were skeptical over the fact that Tannehill was following his college coach to Miami. By the end of the pre-season, the skepticism was replaced by cautious optimism, before the end of the regular season brought plenty of potential on the field to spark excitement off of it. Skepticism of Tannehill's abilities was limited to the receivers who caught his passes. His pin-point accuracy, composure and athleticism allowed him to have an excellent rookie season. Last season was somewhat of a struggle for Philbin and his coaching staff. The excitement at his arrival quickly subsided when Brandon Marshall was traded away for a bargain cost. A change in defensive scheme was met with curiosity, before the HBO show Hard Knocks magnified all of the team's issues. Philbin arrived in Miami as a first-time head coach, so a learning curve was inevitable. Now that he has been in the role for a full-season and his approach has saturated into the franchise's floorboards, this season should run much more smoothly. In any other season, Wake would have been a contender for defensive player of the year. Instead, his excellent performances were overshadowed by the phenomenal displays by JJ Watt and Von Miller. The 30-year-old enjoyed his most productive season with 15 sacks and three forced fumbles. After the season, Wake turned 31. His physical traits should allow him to continue to perform at a high-level however. Although the Dolphins made plenty of headlines by bringing in free agents this off-season, their most significant moves may be the ones they didn't make. While fans will argue on the quality, it's impossible to argue against the importance of those players who have moved on. It's not often that a former first overall draft pick even hits free agency, not least leave for another team, but Jake Long did both this off-season. Long became a member of the St. Louis Rams after signing a contract that will pay him roughly $7 million per season. Even though his play had come under some scrutiny in recent years, the Dolphins did want Long back and do not yet have a recognizable replacement at left tackle. Last year's rookie right tackle, Jonathan Martin, is currently sitting atop the depth chart at left tackle, but he struggled on the right side as a rookie. Long may not have been elite last season, but he was much better than what Martin projects to be. It was long expected that last year would be Bush's last in Miami. As soon as Philbin took the reigns, it was obvious that Bush didn't fit in his offense's structure. Once Lamar Miller was drafted, that was confirmed. It wasn't that Bush didn't fit from a scheme or performance point of view, he definitely did, he just didn't fit the financial commitment required to re-sign him. Bush landed in Detroit, while Miller an Daniel Thomas are expected to carry the load for the Dolphins next season. What they save in salary, they lack in experience and production. Both backs have plenty of talent, but definitely have more question marks than Bush. It may be coincidental, but the fact that the three members of the leadership council, formed after Chad Johnson's arrest last season, speaks to the hit in leadership the roster has endured this off-season. Dansby in particular was one of the team's most experienced and proven players and the anchor of their defense. Smith was one of the more highly-sought after defensive backs available on the free agent market this year. He eventually signed with the Kansas City Chiefs and the Dolphins didn't seem too bothered about keeping him. Cornerbacks don't appear to be a major investment priority for the Dolphins' defensive scheme which is a reason why they were happy to move on from both he and Vontae Davis. Even though Jeff Ireland has been the scourge of Dolphins' fans in recent years and has somewhat mortgaged the franchise's future with his moves this off-season, he has undoubtedly improved the level of talent on the roster. Wallace is definitely overpaid, but that doesn't mean he hasn't significantly improved the wide receiver position since last season. Tannehill's arm strength will be tested, because the majority of Wallace's work comes deep down the field. In Pittsburgh with the Steelers, Ben Roethlisberger often underthrew Wallace on passes that the majority of receivers wouldn't have been able to reach. The Dolphins' didn't have a single deep threat for Tannehill last year, but now they have the best deep threat in the league who will open up the offense for the rest of the team. The Dolphins had a similar tight end to Keller last season in Anthony Fasano, but Fasano isn't on the same level as Keller when the former Jets' player is fully healthy. Keller, although not explosive, is a very reliable and consistent possession receiver who should fit perfectly with Tannehill. The signing of Ellerbe led the loss of Dansby. 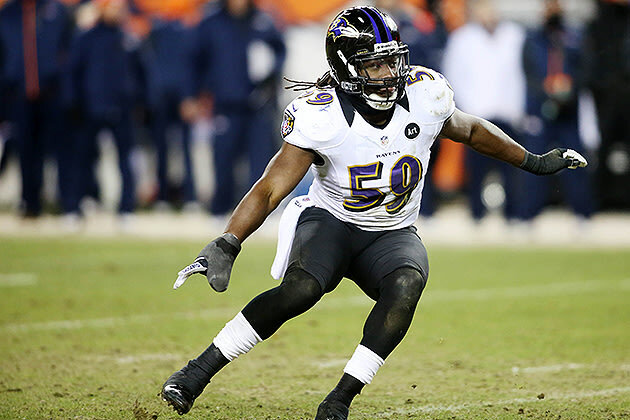 Ellerbe did play well against the Patriots in the playoffs last year, and through the whole post-season for the Ravens, but he has been inconsistent in his short career, lacks durability and had some maturity questions arose after last season. The Dolphins' biggest question marks are similar to those that faced the Philadelphia Eagles ahead of the 2011 season. The Eagles made dramatic alterations to their roster, many more than the Dolphins, but the overall impact could cause a similar effect on their prospects. Most notably, the loss of leadership from the locker-room puts a lot more focus on players who haven't previously been in those roles. By letting Jake Long leave, the Dolphins have put themselves at the mercy of Chandler Jones. Unless a top tackle arrives in the draft, the Dolphins will be very susceptible to opposing team's pass-rushers at both tackle positions. The counter is that the Dolphins have better skill-position players to test the Patriots' questionable secondary. Wallace is a problem for every unit, but he has made it particularly hard on the Patriots' defense as a whole in recent years when they played against the Steelers. While he never got behind them for massive gains consistently, he did dramatically alter the defense's approach. Defensively, the Dolphins still don't have the athleticism to cover the Patriots' tight ends. Ellerbe and Philip Wheeler are no matches for Rob Gronkowski and Aaron Hernandez, while a second pass rusher coming off the edge is a must upfront if the Patriots are to pressure Tom Brady.